Art By Yukari: The last few days.. Here is today's prompt... My pet. 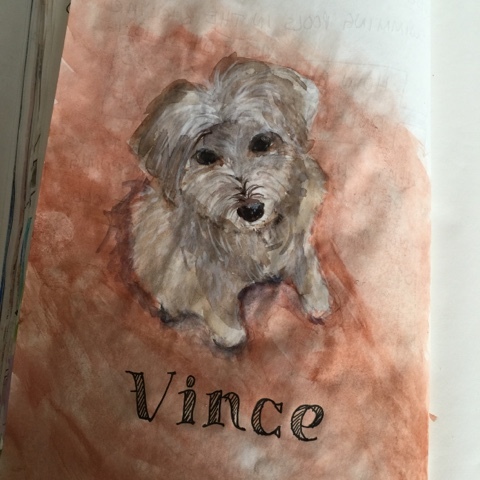 We found Vince at the Humane Society in Houston. We had looked at other dogs in various shelters and in fact, we had picked another dog. But after thinking it over, we decided that the other dog was too small for our family. 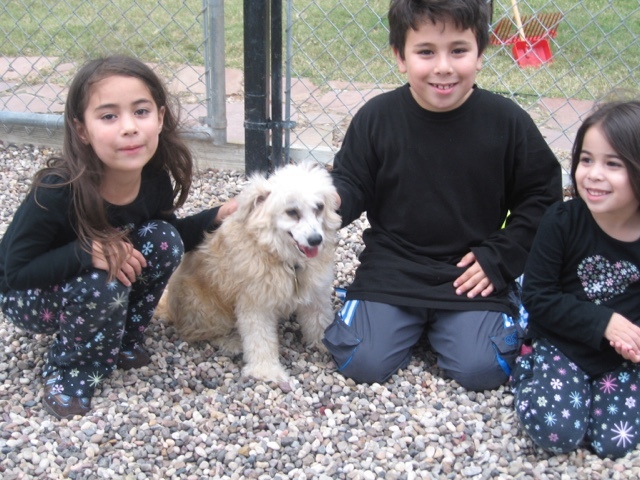 After looking at Petfinder.com, my oldest daughter wanted to look at this funny looking dog at the Humane society. So the three kids and I went to see him. This was 8 years ago. There was something about him that connected to us. So we adopted him. He was and still is, a very timid dog. He doesn't play with toys and though he wants his family near, he doesn't like to cuddle. He gets very upset when there's dancing and he especially gets upset when I hug my kids too long.. Lol. He is like my fourth child and he truly is my dog. When I'm sick, he stays with me, not even eating if I'm not downstairs. He looks for me when I'm away. And he gets very upset if I spend anymore than a minute in the bathroom! 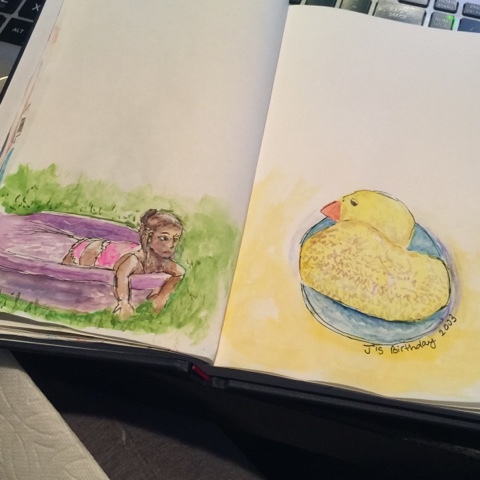 Well, I'm must have been in a nostalgic mood because yesterday's prompt was rubber ducky and I immediate thought of my daughter's 2nd birthday party. I was 8 months pregnant with my third and I was baking and decorating a ducky cake! It took hours!!! And I probably will never do that again.. Jess and her friends played outside where we set up several play pools with duckies while rubber duckie themed children's songs played. I used to love planning themed birthday parties that were a bit over-the-top.. Not in expense but in labor.. Mine! They were all time-consuming projects for me, but I don't regret one second of it.. Fun memories for sure!